Over the last few years, especially since the failure of the amendment to legislation around the issue of assisted suicide in 2012, there has been a flurry of theatre work taking a positive stance on assisted suicide. This year Brighton Fringe Festival hosted Sparkle and Dark’s Killing Roger - a well-executed, if predictable polemical theatre piece about the failures of the care system and the decision of an elderly man to inspire help in having reached a conclusion that he’d lived long enough and wanted to bring his life to an end. In conjunction the company held a symposium to talk about the issues of the right of an artist to tackle challenging biomedical issues and the ethics of performance exploring issues of life and death. There was no doubt in my mind that all present would be sold on the idea that there is an important conversation to be had about a human right to choose one’s destiny when it comes to life and death. I don’t doubt the sincerity and authenticity of the writers and companies that produce these worthy pieces of theatre. However, I went because I wanted to ask why disability arts practitioners - and their perspective on these debates - are so often excluded? Rarely do we hear the viewpoint of the disability lobby. (A rare exception being Liz Carr’s eloquent and passionate stance on a Newsnight debate chaired by Jeremy Paxman in 2011: aired following the screening on the BBC of Terry Pratchett: Choosing to Die. So I went specifically to talk about work that won’t be programmed for the Brighton Fringe (typically the venue for Killing Roger was inaccessible). Citing the example of Katherine Araniello’s performance piece ‘Assisted Passage’ made with Aaron Williamson in 2007 I explained how the performance consisted of protest on a university campus petitioning people to sign a request to an airline to allow Katherine to fly to Zurich in order to go to the death clinic. It was one of a series of performances by Katherine highlighting how people see her and disabled people like her, as an object of pity and would not question her wanting to die; illustrating an inherent assumption within society that disabled peoples’ lives are not worth living. There was a cry of disbelief from theatre practitioners on the panel. I was told categorically that the general public’s impulse would always be to support the sanctity of life and to question an individuals request to be allowed to die - even given that the subject be a wheelchair-user with restricted mobility. There would have been a credible challenge in that the issue I was raising in regard to Araniello’s Assisted Passage is separate to the issues raised by Killing Roger: these are opposing takes on the assisted suicide debate; both of which have validity and both of which are in urgent need of consideration, given that death and dying have become both more remote and more prescient in equal terms. But from this panel there was no conception of the work I was trying to describe. Just a blatant dismissal! And it occurred to me that these people have never embraced disability arts; have probably never encountered a disabled artist like Araniello. And so it occurred to me that Disability Arts in one very practical sense is about we, as disabled people, fighting for our lives. There is an unacknowledged, quiet euthanasia going on in the background. The austerity measures in operation are majorly reducing disabled peoples’ life expectancy. Atos have been proven to be wilfully and strategically cutting disabled people off from support in order that we will die. The question remains as to how quietly we are prepared to go? I’ve been going through Dao’s archive in the last few editorials. My intention is to continue highlighting a few favourite articles from a decade of Dao. In last weeks newsletter I asked what pieces of content you, dear Dao reader would like me to highlight? Richard Downes came back with a comment expressing how much he enjoyed Gini's exploration of Japan and technology, during her trip to Tokyo in September 2013. 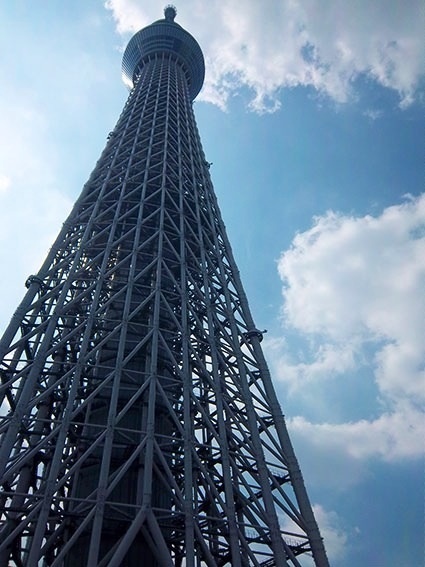 If you go back into Gini’s entries during her trip to Japan her love for the culture comes through her writing, as in this blog poem referring to the Sky Tree in Tokyo during a visit on 23 September 2013. The charm and despair confuse me. break me apart in conflict of needing. paused while I dream of forever. Bask in the momentary embrace of love. Gini’s seemingly effortless writing has been an inspiration for me, also in seeking to shape the kinds of content that Dao encourages. I loved the diary entries; Gini’s unique voice taking you into her world and completing the experience with a poem encapsulating something ‘extra’, something revealing in a subtle and evocative way. Since then I’ve made a point of encouraging and supporting more poetry blogs on Dao. Some are loud and proud; some are earthy and some, like Gini’s have a quieter more essential quality. Click on this link and have a read of Gini's blog and you’ll see what I mean. I intended at the beginning of the year to celebrate Dao's tenth year by writing a monthly blog reviewing key works that have helped to shape what the journal is and who it is for. Earlier in the year I looked back at Peter Street’s war poetry, published in December 2006, which has left an indelible imprint on my consciousness. Back in 2004, I was running the site from a computer in the Mind offices in Lewes, kindly offered by the Director, Paddy Mobbs. I can't remember how I was introduced to Mark Ware. 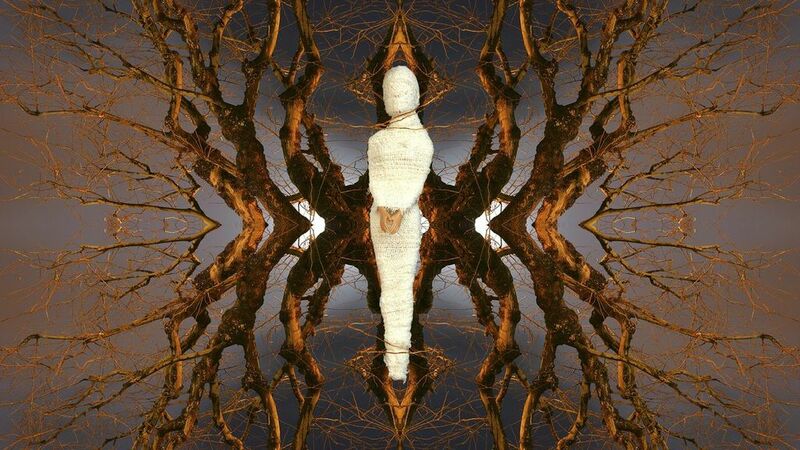 But from my own experience of playing with photoshop I was impressed by his images. There was a painstaking exactitude to the asymmetry of the digital stills from The Dog that Barked like a Bird - and the extent to which the work was made to illustrate Mark’s ‘ways of seeing’ - to quote John Berger. Mark Ware's artwork coming after decades of experience of professional artistic practice, broke rules in an informed and unique way, precisely because it was coming from personal experience of impairment. Mark's story of how the work was intended to describe the impact of a stroke, which left him with sight that registered at different speeds in each of his eyes, was fascinating. His work illustrates the impact of an impairment giving him a much enhanced depth of field. It felt right that Disability Arts Online should be open to showcasing artwork that talked about impairment from an informed, yet positive perspective that told a story that cut through the worthy / victim narratives that are all too often told about disabled people.